Currently we do not have any ESL/Citizenship classes running but we collaborate with our partner organizations who do provide these classes and refer our families to these resources. We provide language assistance through these referrals as well as through our case workers' language interpretation services for our clients and at our workshops. BRFN had previously provided free basic ESL classes for adult refugees from Burma in order to build a language foundation for future enrollment in more advanced ESL classes and tutoring programs with partner organizations and institutions. Currently we are in a collaborative program within the East Bay Refugee Forum and work closely together with partners such as Laney College, Lao Family Community Development and Refugee Transitions so that refugee clients can attend ESL classes. 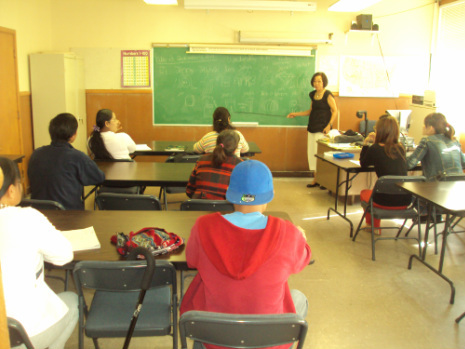 BRFN had also previously partnered with the International Institute of the East Bay, Refugee Transitions, and the Bhutanese Community in California and provided free ESL/Citizenship classes to help prepare students for the citizenship exam. Such classes are now taught at our partner agencies such as Refugee Transitions and Myanmar Community and Cultural Center and we make appropriate referrals.